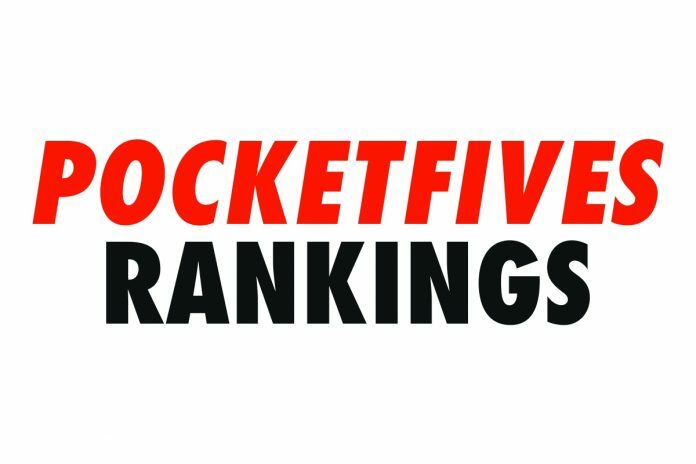 There’s not much movement in the PocketFives Worldwide Top 10 this week, as eight of the ten spots held steadfast from last week. The difference this week is it seems that the top tier players are slowly coming back to the tables after their post-spring series breaks. Sweden’s ‘lena900’ continues to top the rankings for the fourth week in a row. The powerhouse put in a good deal of volume and scored a pair of PLB qualifying cashes to solidify his position for at least one more week. His week was highlighted by a runner-up finish in the bwin.com KO Series Event #8. He earned just over $10,000 for the finish and tacked on another 208.63 in PLB points. ‘lena900’ also earned a second five-figure score this week in his final table appearance in Event #13 of the same series for $12,671 and 194.66 PLB points. It is very likely that the Swede will surpass $11 million in lifetime earnings in the next 24 hours as he sits just under $1,500 from that major milestone. The #2-ranked ’C Darwin2’ made a hard charge at the top spot this week, having himself a solid week at the tables. He registered four qualifying PLB scores including an outright win in the Winamax Mini Las Vegas Highroller for $46,404 and 414.57. In total, ‘C Darwin2’ accumulated over 1047 PLB points, putting him in position to potentially catch his countryman. Roman ‘Romeopro’ Romanovsky didn’t slip in the rankings, remaining in the #3 spot once again. He also didn’t get in on any action. Romanovsky did not register a score this week, having it only slightly affect his PLB score. Russia’s ‘hellohellohello’ had a similar idea and kept his distance from the online tables. The #4-ranked player in the world only recorded two results this week. They totaled roughly $2,500 in total cashes and no PLB points. While he didn’t give up too much ground, he didn’t gain any this week either. Andres ‘probirs’ Nemeth dabbled a little more than last week but not much more. The fifth-ranked player did hop into a couple tournaments of partypoker’s KO Series. In Event #2 he made a run to the final three tables, collecting a cash of $3,203 for his 23rd place finish. He picked up 107.76 PLB points to go along with it, however, his total output for the week was but four total cashes. ‘GINS FINEST’ from Canada continued to cash in on his current heater. He claimed victory in the PokerStars $2,100 Sunday High Roller for $49,470 and a PLB boosting 464.76 points. His recent results have deemed him as Canada’s #1-ranked player, #6 in the world and on a crash course with $5 million in lifetime earnings. The #7- ranked Ramiro ‘Ramiro’ Petrone put together a nice week this week and scored a pair of five-figure cashes. Both came on June 3. The first was in the PokerStars $2,100 Sunday High Roller, winning him $37,250 and 306.63 PLB points. Then, later that same day, he played on partypoker and, again taking second, he banked another $30,636 in the Super Sunday 1K. Joao ‘joaosimaobh’ Simao has yet to make an appearance at the World Series of Poker, instead continuing to grind online. He picked up 121.50 PLB points in a final table appearance of the partypoker Super Sunday High Roller. He earned $7,244 for that score and it helped him maintain his #8-ranking. The only change in the top 10 rankings this week comes at the bottom where Pedro ‘PaDiLhA SP’ Padilha used a pair of bronze medal finishes on partypoker to overtake the #9-ranked spot once held by Sweden’s ‘Ariados’. ‘Ariados’ slips back to the #10 spot despite picking up a pair of qualifying cashes himself. Other moves in the top 25 include ‘European’ rejoining the top 25, climbing from #28 to #21 this week. Additionally, Johannes ‘Greenstone25’ Korsar surged back to #24, while his fellow Swede ‘Sheater’ departs the top 25, slipping to #26.
Who won the SCOOP/Powerfest bet? Must be lena900/Cdarwin2. If Niklas keeps going this strong he might overtake Moorman. I didn’t do any additional research on this but with ‘lena900’s absolute tear at the end of both series, it would be hard to imagine Team Sweden didn’t win the bet.